So glad I could enjoy my husband’s kayak race today. 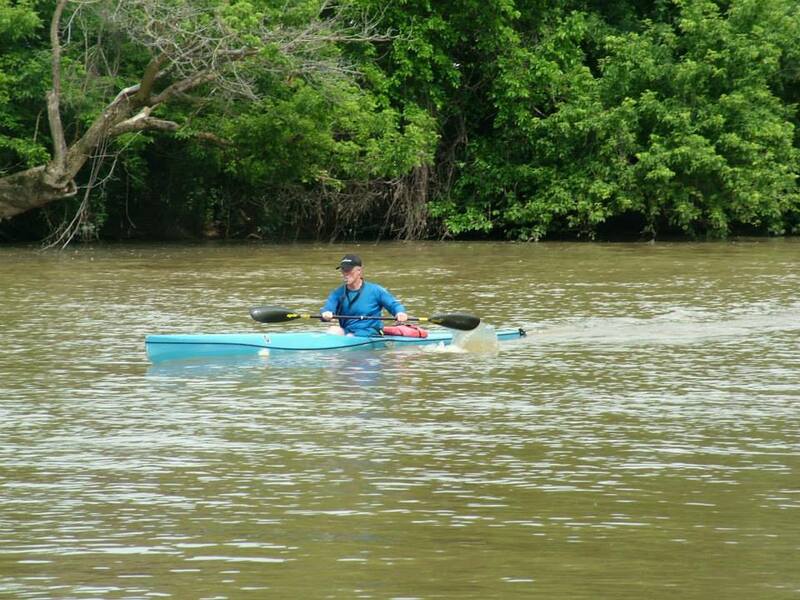 His daughter, Christina, and I cheered him on from the shore of the ol’ St. Joe River, taking pictures and listening to paddling stories from the timekeepers (Roger and Martha). Seems simple enough: a typical Saturday outing for our household perhaps. Er, no. THIS IS HUGE!!! When you wake up with a crushing feeling in your chest that you’ve had for days and tic attacks after a night of broken sleep due to both, it’s a blessing from the Lord to be able to go anywhere! And seeing my beloved River Bear in his element is a real treat for me. My husband is so cool. And I got even got to yell at the top of my achy lungs, “Gooooooooo Steeeeeeeeeeeeeve!” He won today in the USCA K1 Unlimited class as well as had the fastest overall time. The day was warm and sunny. All was good. The afternoon didn’t go so well as I tried to rest with hopes of helping at the Purdue Extension Office plant sale this evening. Oh well. Cancelled that. Sometimes you give up one thing for another. Life is like that sometimes. And with odds like this, maybe you will say, “go Jesus” too?